Jockey Craig Williams gives Hartnell a pat after their win in the CF Orr Stakes in February. JAMES Cummings believes conditions are ideal for veteran Hartnell to add another feature race to his resume when he has first start at Moonee Valley outside of a Cox Plate. Hartnell will run in the Dato Tan Chin Nam Stakes (1600m) at the Valley on Saturday. It will be only his third start at the track. His other runs at The Valley have been a second in the 2016 Cox Plate and a fifth in the 2015 Cox Plate, both behind Winx. 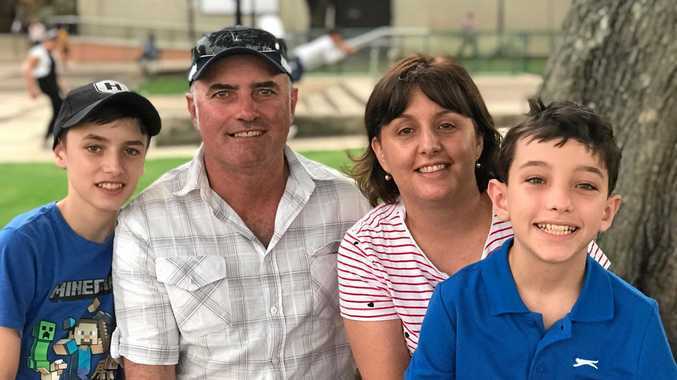 The eight-year-old gelding resumed with a first-up second in the Lawrence Stakes when he drifted from $6.50 to $9.50 after looking big in the mounting yard. "He enjoys his races spaced and should give himself every chance at weight for age around the Valley," Cummings said. 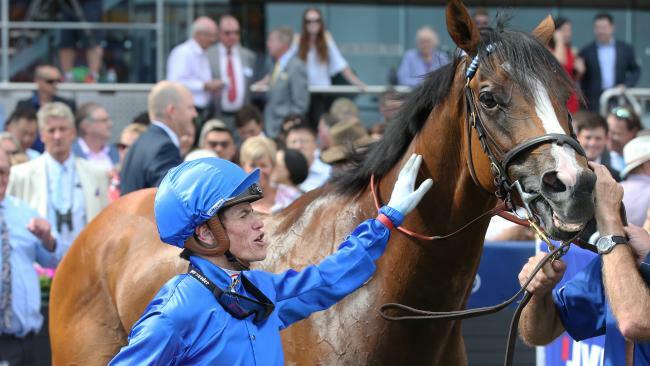 "He's as bright as a button and capable of running well again." 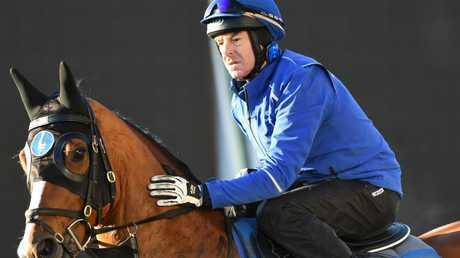 His jockey Craig Williams said Hartnell was suited by the StrathAyr surface at the Valley. "I'm really looking forward to Saturday. He loves that surface and I like him having gaps between runs," Williams said. Melbourne assistant trainer Kate Grimwade said Hartnell's track rider, Craig Robertson, couldn't be happier with the gelding's work. "There's no reason why he can't produce his solid characteristic run," she said. Hartnell is a $3.70 second favourite behind promising Darren Weir galloper Night's Watch, on $3.60, with Ladbrokes' fixed odds. 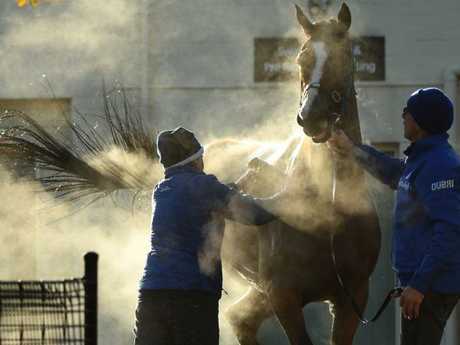 Hartnell is washed down after his gallop at the Valley on Tuesday. Godolphin will also be represented by boom sprinter and $3.80 favourite Osborne Bulls in the Bendigo Banks States (1200m). Cummings said the biggest challenge Osborne Bulls would face would be working his way into the clear after drawing barrier one. "The horse took some time to balance up in a reconnaissance mission at Moonee Valley on Tuesday morning, but was nice to the line," Cummings said. "All things being equal I expect him to perform strongly again."